At the Y, we believe charged up kids really do achieve amazing things. We see it all the time. When a child is healthy, happy, motivated and excited…watch out…because something amazing is inevitably going to result. As that child grows and fulfills their true potential, they will truly make the world a better place for everyone. To continue our commitment to teach healthy habits for kids and families, encourage physical and mental play, and inspire a lifetime love of exercise, The YMCA of Greater Montgomery is excited to host HEALTHY KIDS DAY®. Healthy Kids Day is the Y’s national initiative to improve the health and wellness of kids and their families. The YMCA of Greater Montgomery is so much more than Youth Sports, After School Childcare, and Swimming. We support families and their efforts to teach life long healthy habits and keep kids active and learning. It’s part of the Y’s promise to strengthen communities. The YMCA of Greater Montgomery’s Healthy Kids Day celebrates the health of our youth and will continue in our efforts to support and teach them and their families ways to remain active and healthy. The first one thousand kids will receive an awesome prize bag! Cleveland Avenue YMCA: Basketball drills, face painting, arts & crafts, healthy snacks, and more! Goodtimes YMCA: Inflatables, arts & crafts, kites, Kids Zumba®, obstacle courses, sno cones, Big Mo, The Brown Bag Bus, and more! Grandview Family YMCA: Camp activities such as archery, canoes and other lake activities, slingshots, Gaga, and so much more! East Family YMCA: Pool games, Kids Zumba®, inflatables, face painting, and more! Wetumpka YMCA: Obstacle course, kickball game, and more! Southeast YMCA: Basketball Camp, Kids Zumba®, and more! Kershaw YMCA: Basketball drills, Flying kites! face painting, arts & crafts, healthy snacks, and more! There will be Child Abuse Awareness tattoos, color page and mini crayon boxes that children will be given to keep along with the color page. There will also be a dream catcher making project. 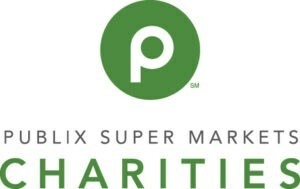 Thank You to our local sponsor: Publix Super Markets Charities!